Men s Narrow Fall Front Breeches, c. 1790-1820 Also known as Small Falls. Men s short breeches with a narrow fall front opening, with side frog pockets and watch pocket. 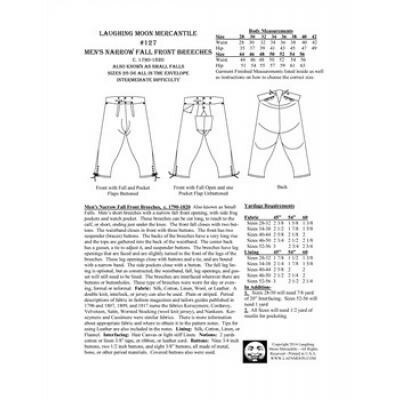 These breeches can be cut long, to reach to the calf, or short, ending just under the knee. The front fall closes with two but-tons. The waistband closes in front with three buttons. The front has two suspender (braces) buttons. 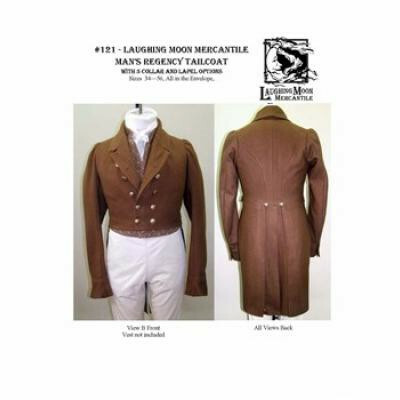 The backs of the breeches have a very long rise and the tops are gathered into the back of the waistband. The center back has a gusset, a tie to adjust it, and suspender buttons. 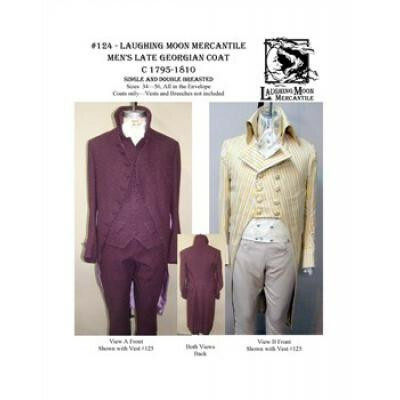 The breeches have leg openings that are faced and are slightly turned to the front of the legs of the breeches. 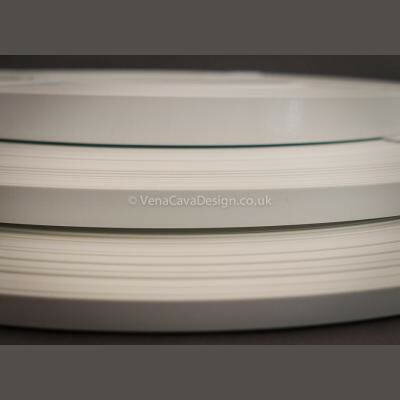 These leg openings close with buttons and a tie, and are bound with a narrow band. The side pockets close with a button. The full leg lin-ing is optional, but as constructed, the waistband, fall, leg openings, and gus-set will still need to be lined. 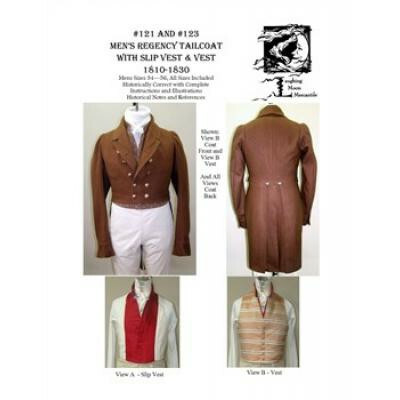 The breeches are interfaced wherever there are buttons or buttonholes. 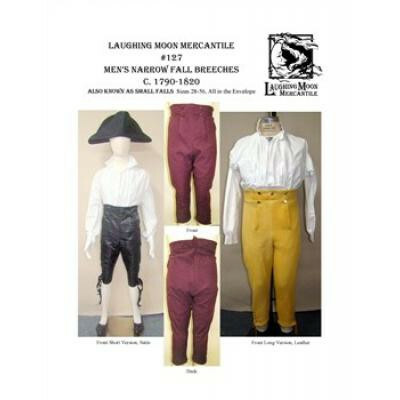 These type of breeches were worn for day or evening, formal or informal. Fabric: Silk, Cotton, Linen, Wool, or Leather. 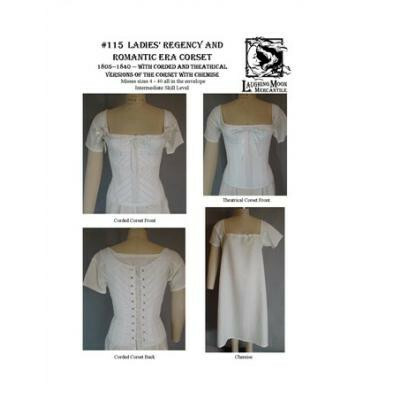 One pattern covers waists 28-56". 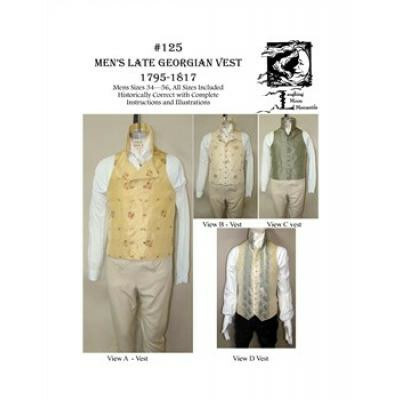 Mens Regency Tailcoat with Slip Vest & Vest -Value Combo pattern!